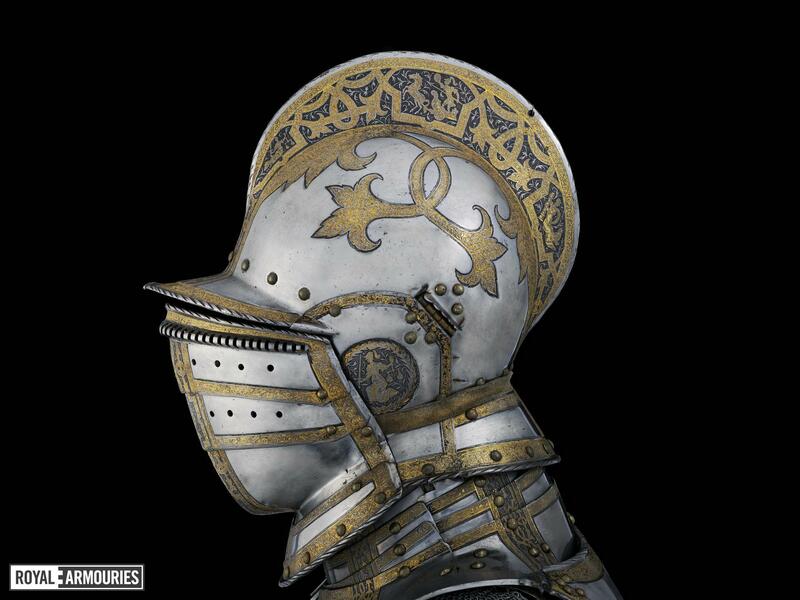 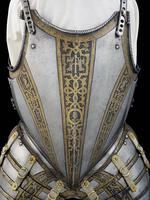 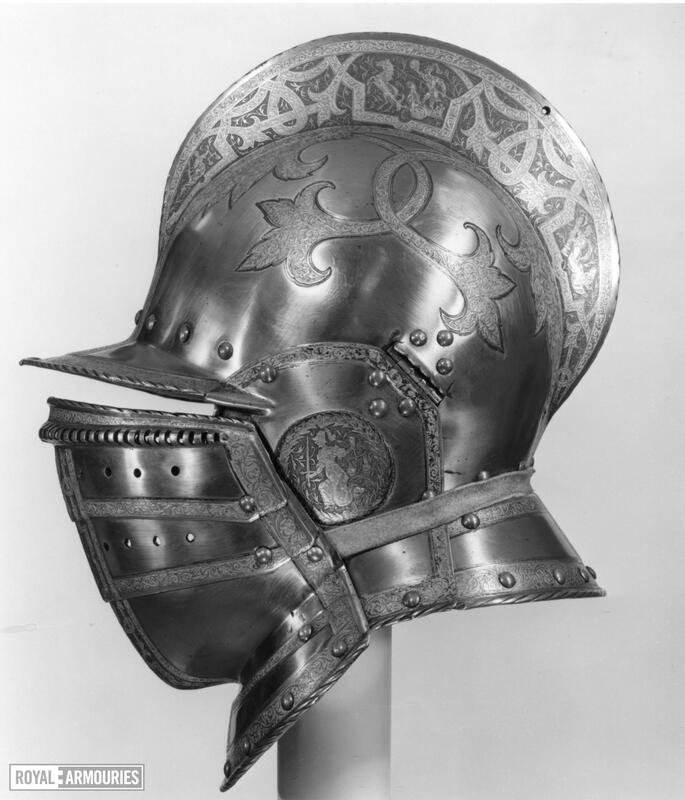 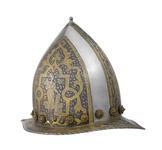 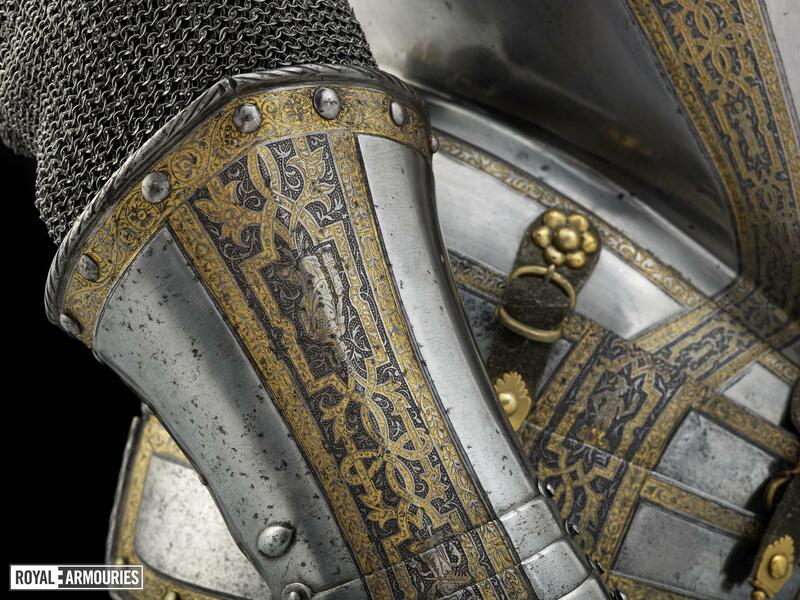 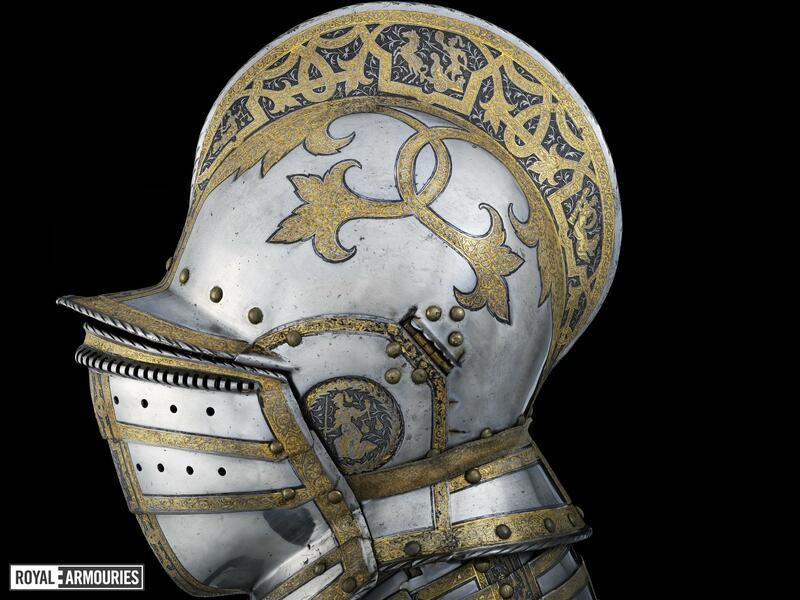 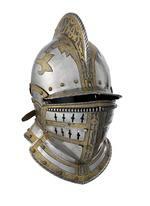 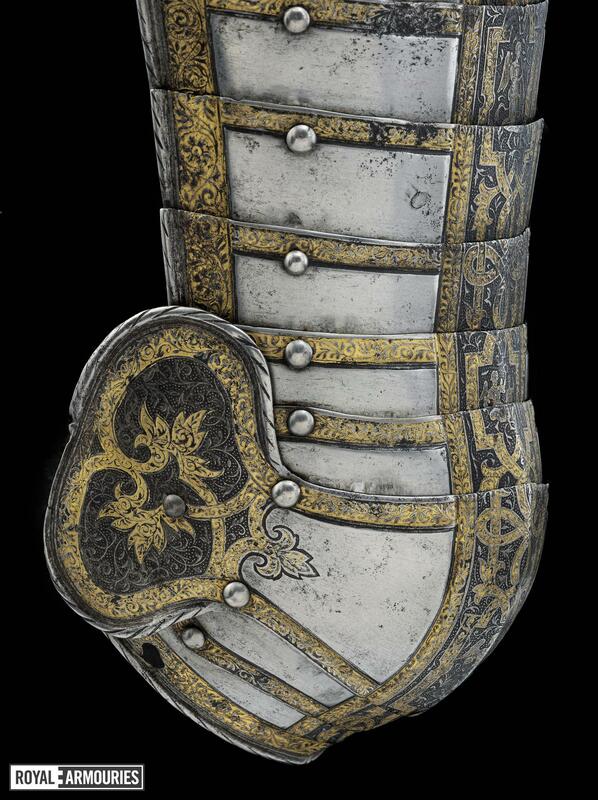 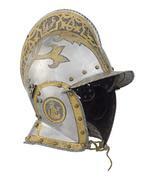 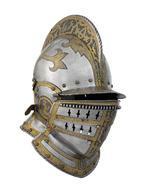 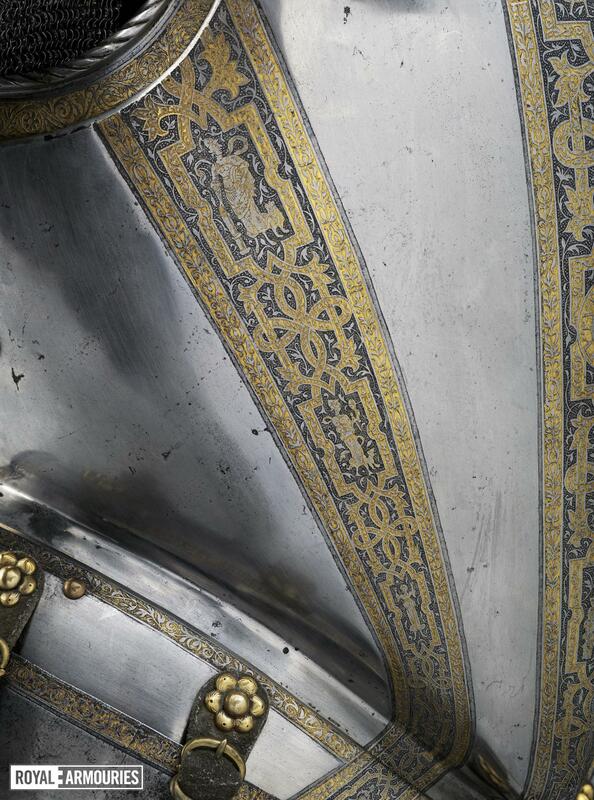 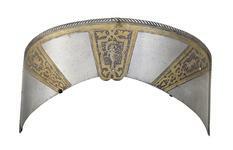 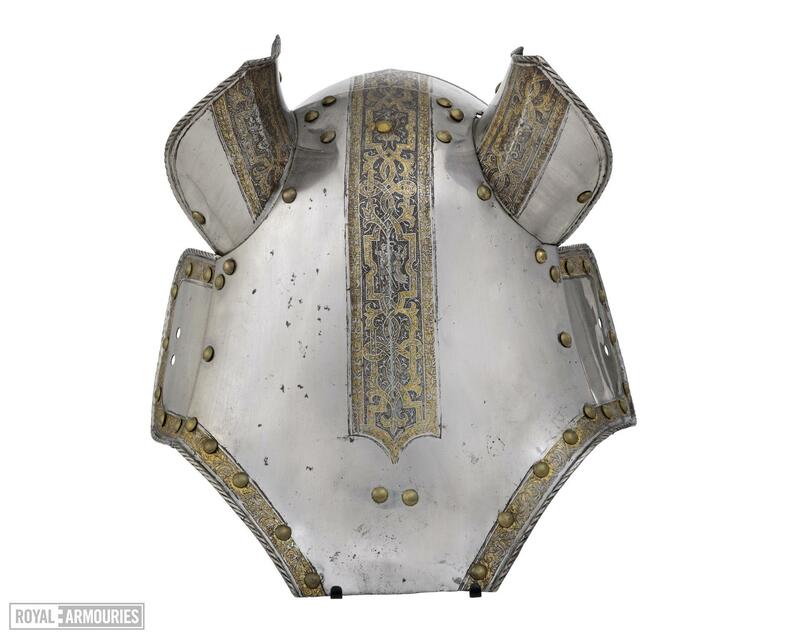 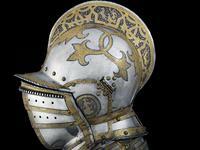 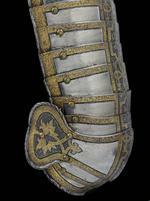 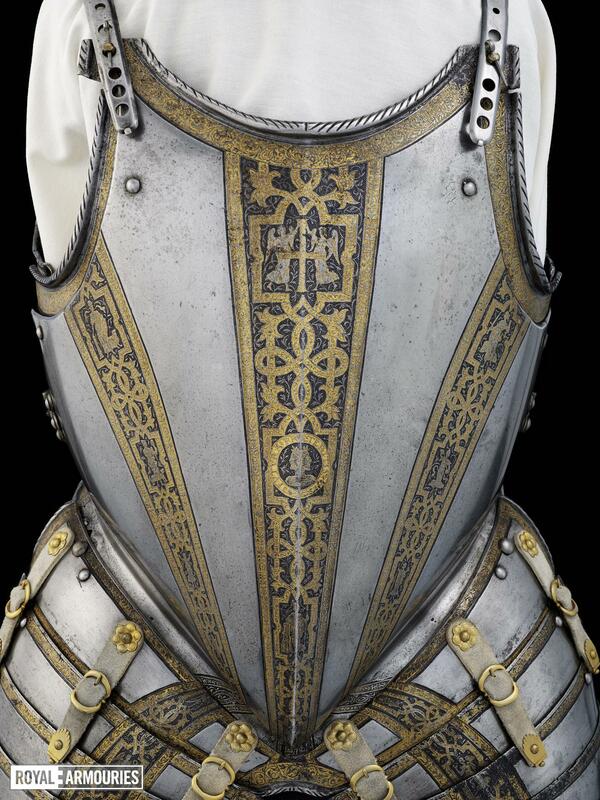 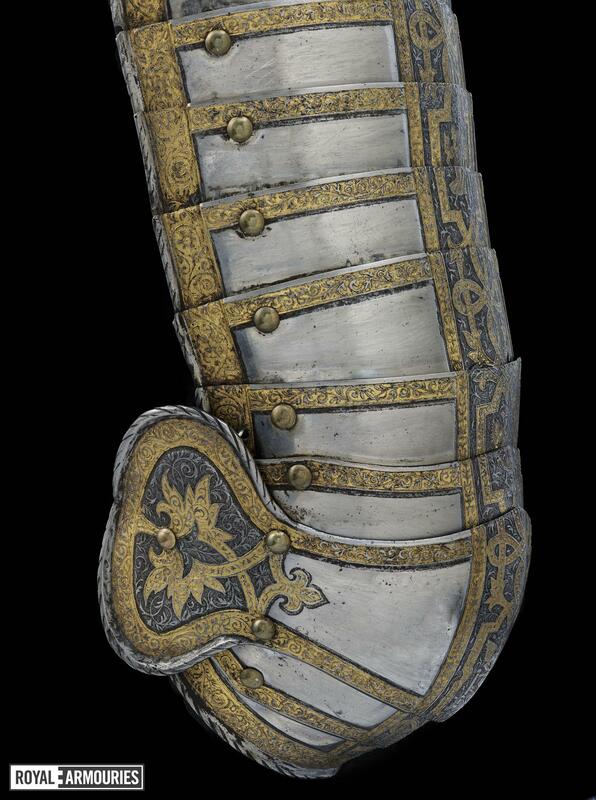 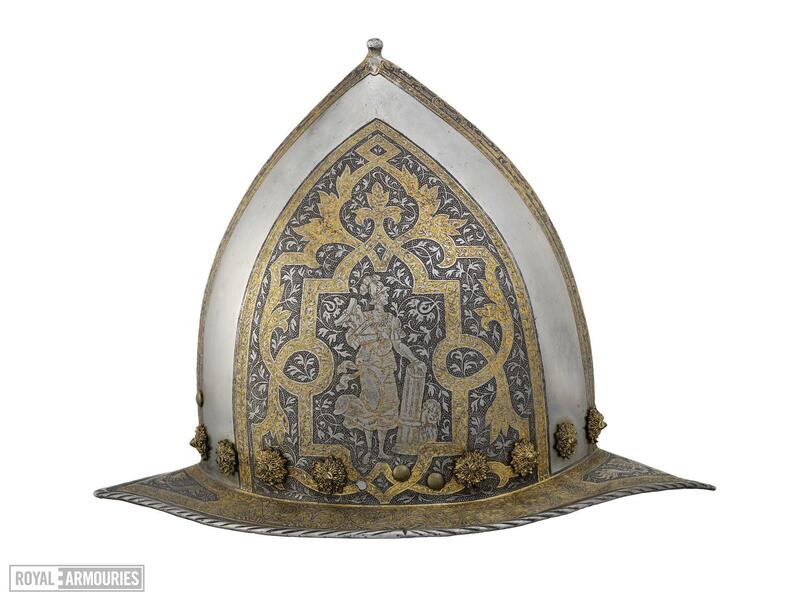 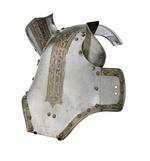 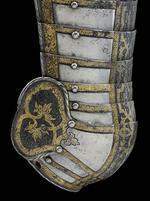 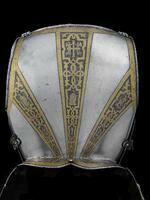 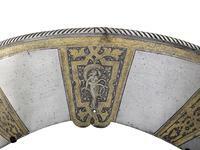 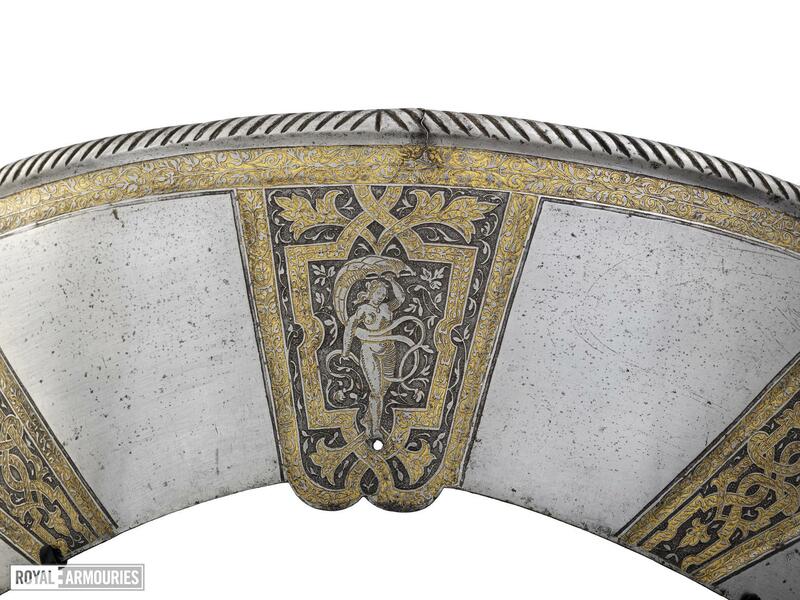 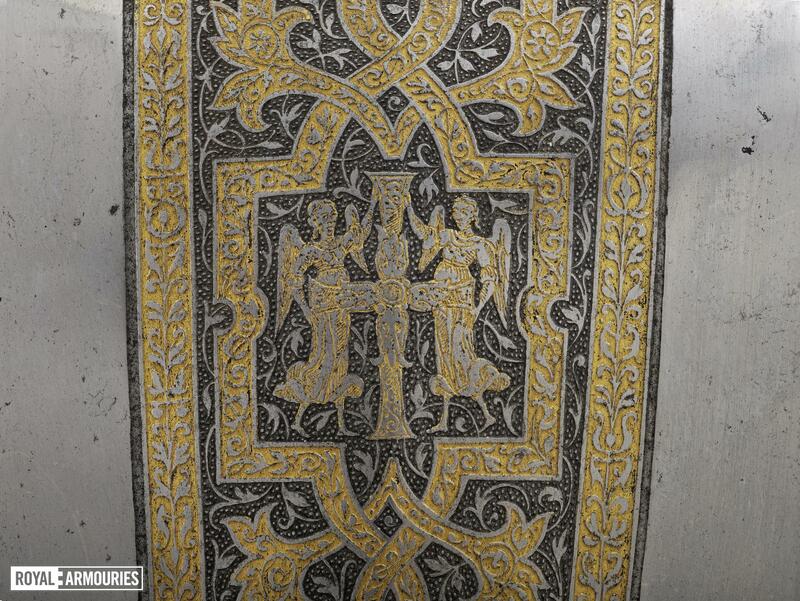 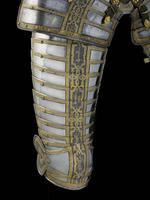 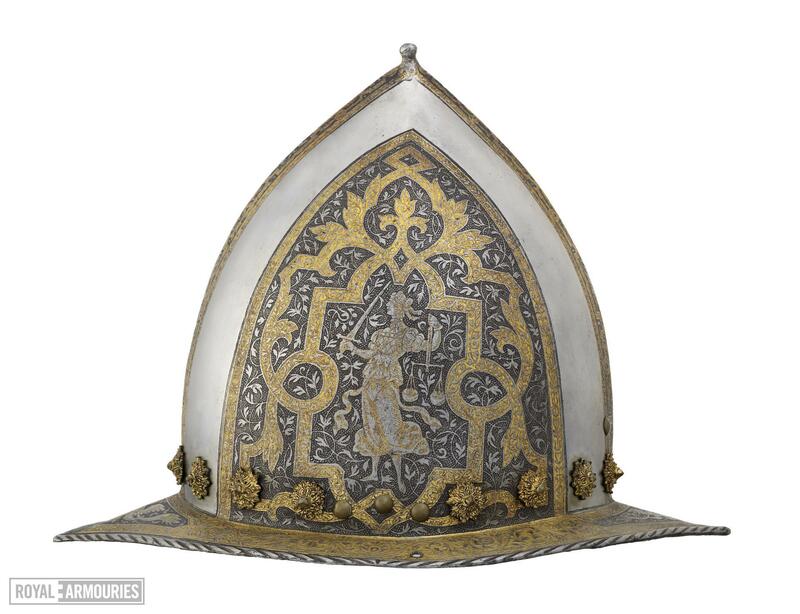 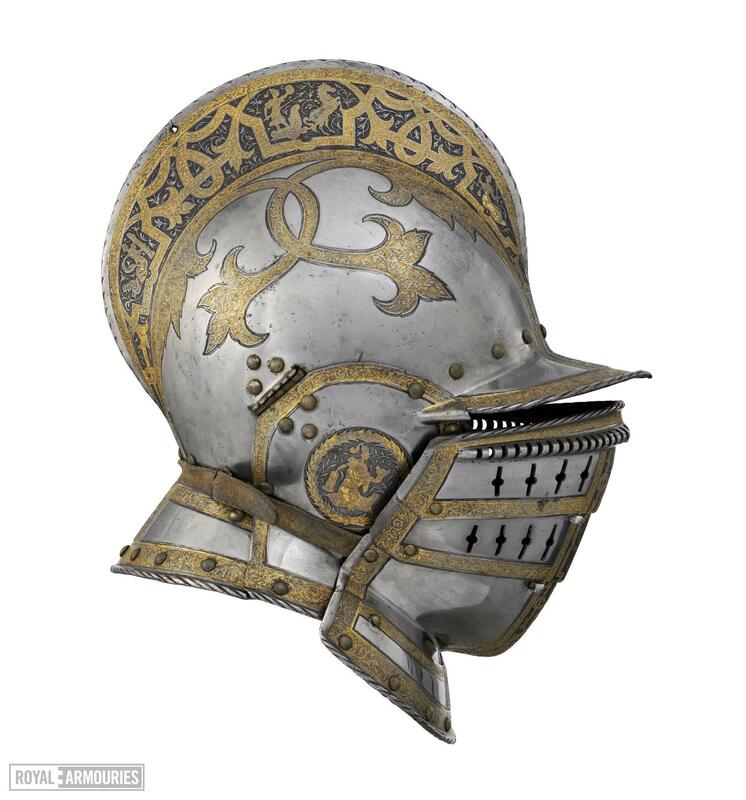 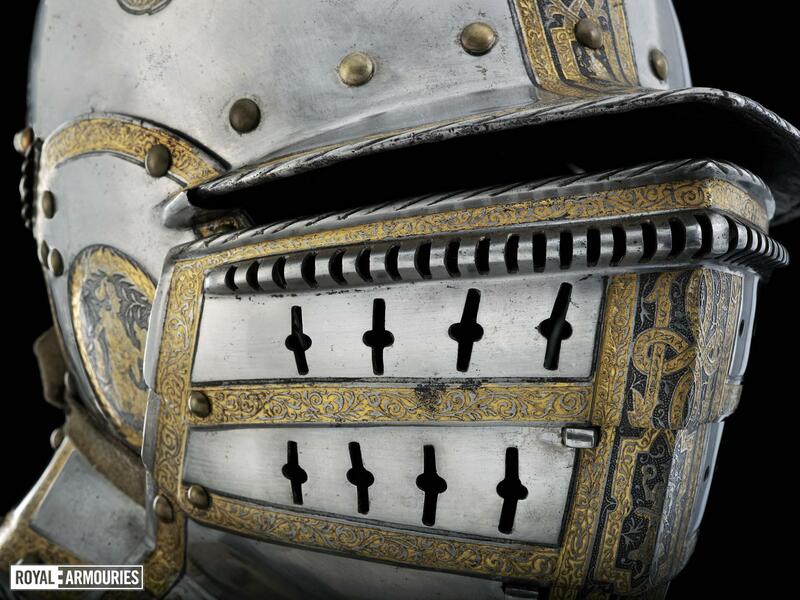 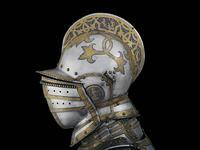 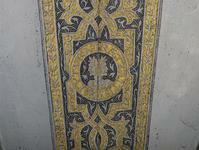 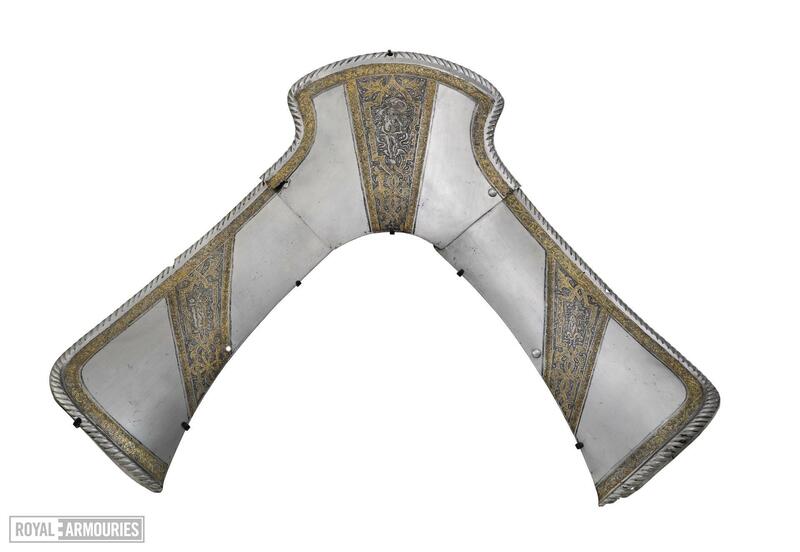 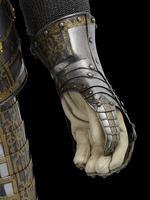 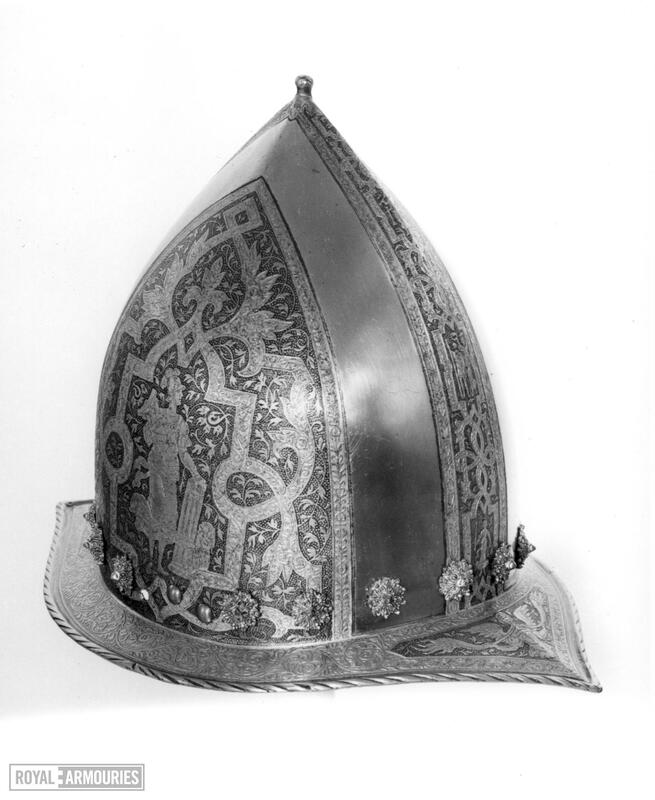 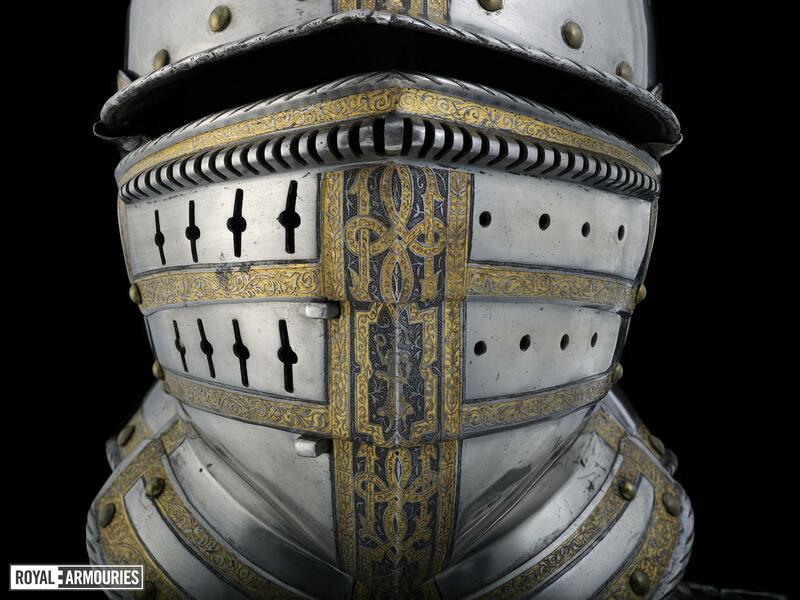 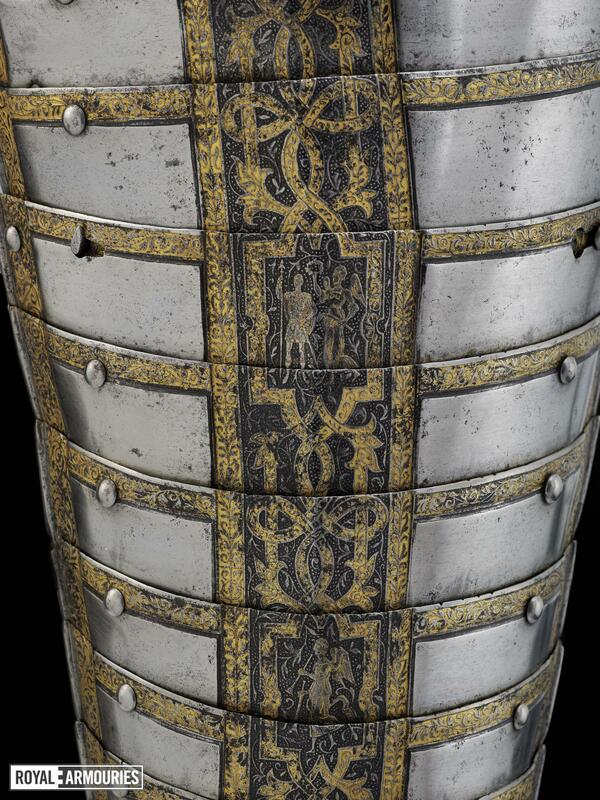 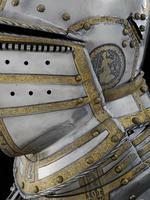 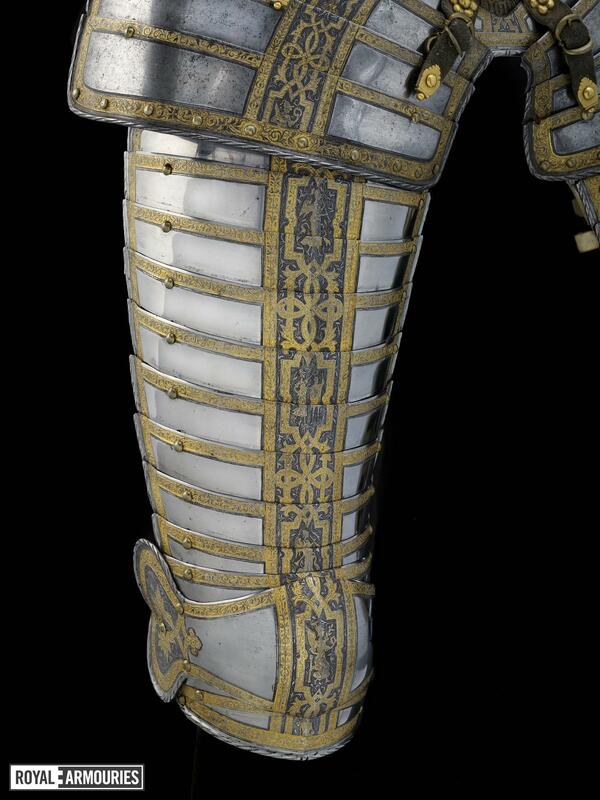 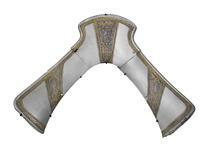 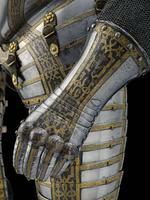 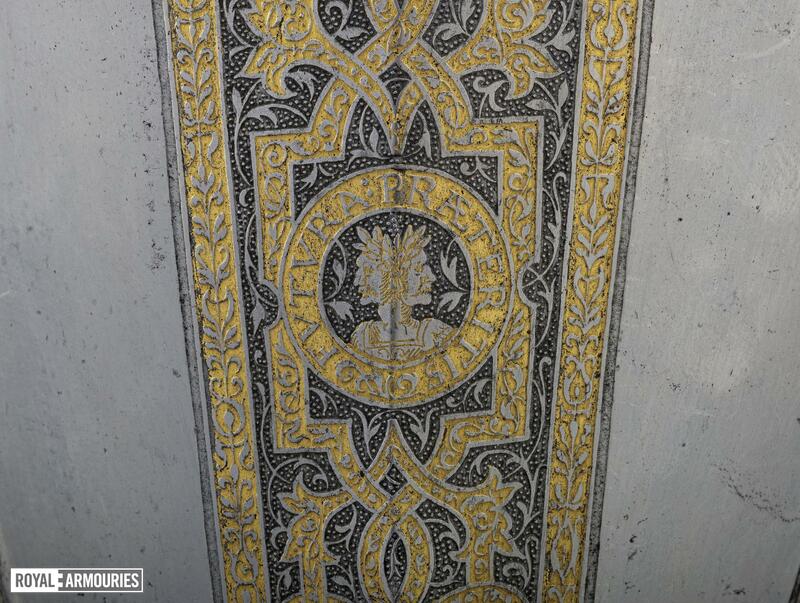 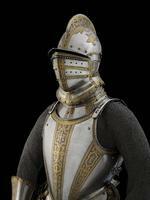 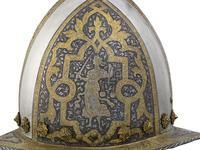 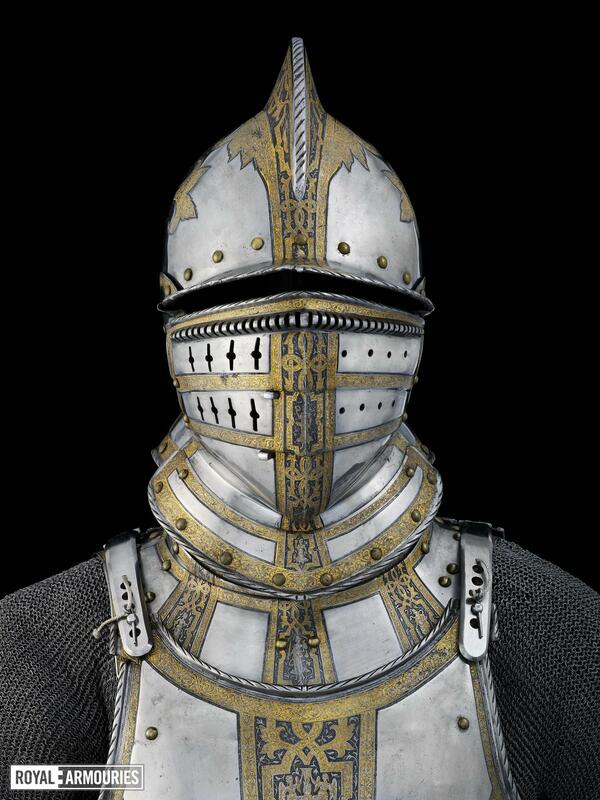 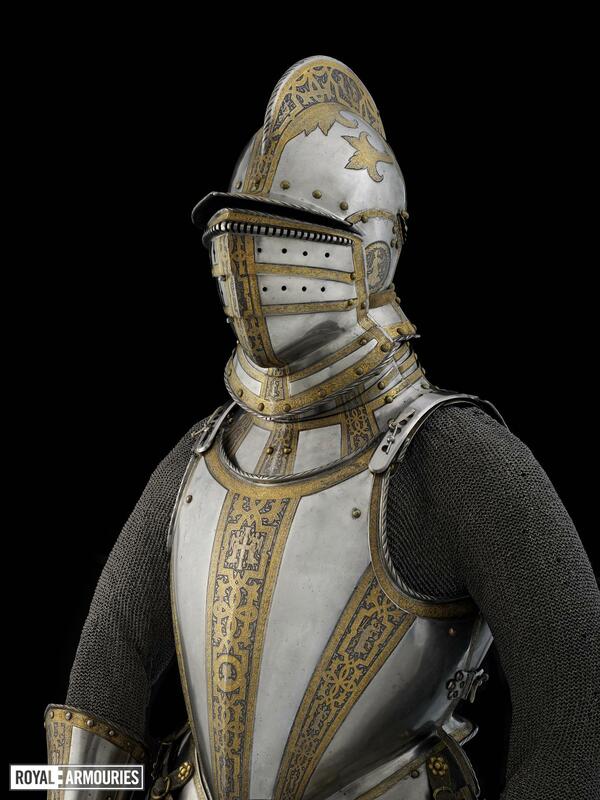 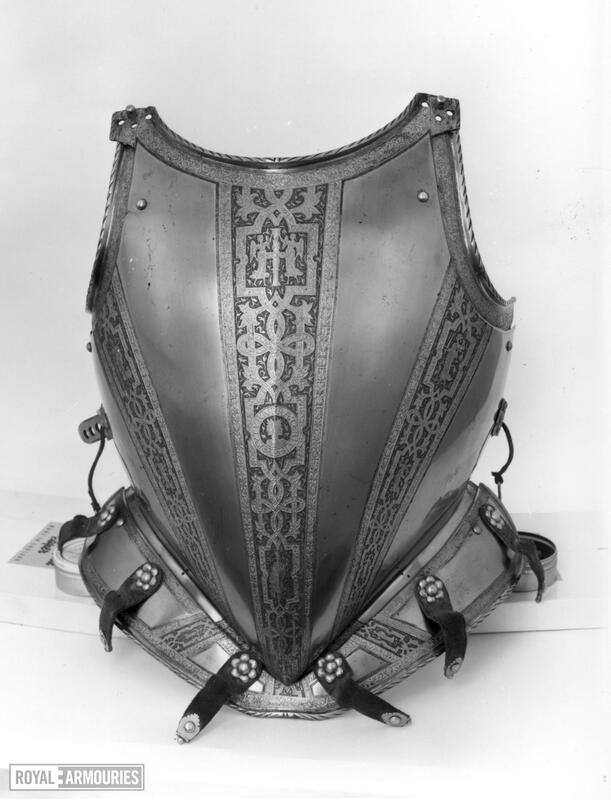 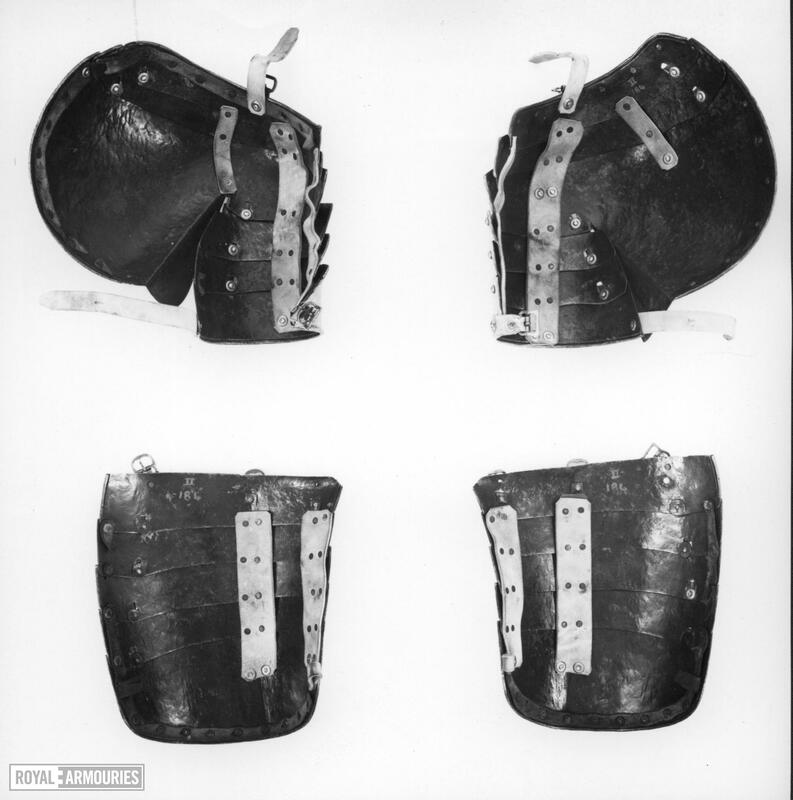 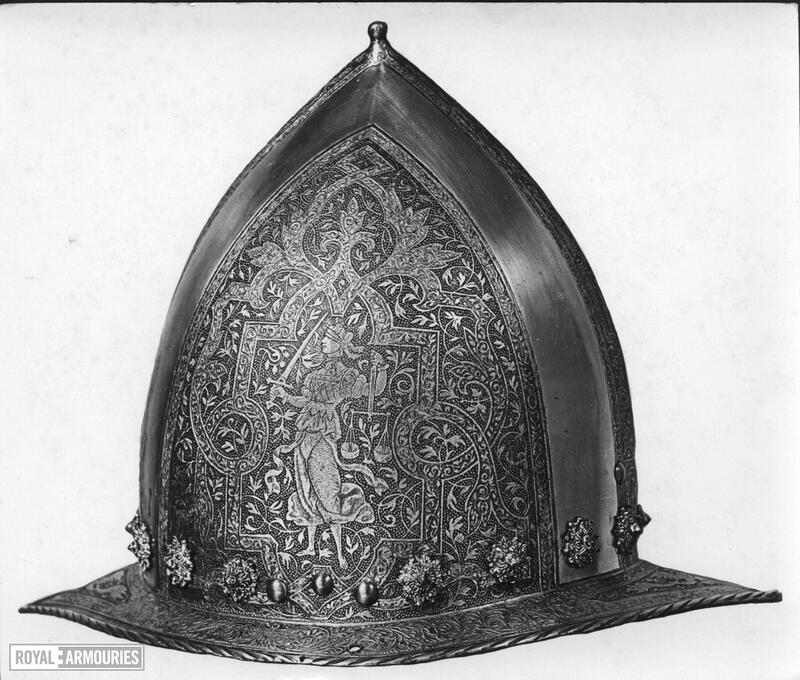 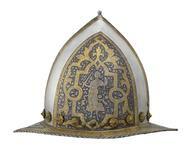 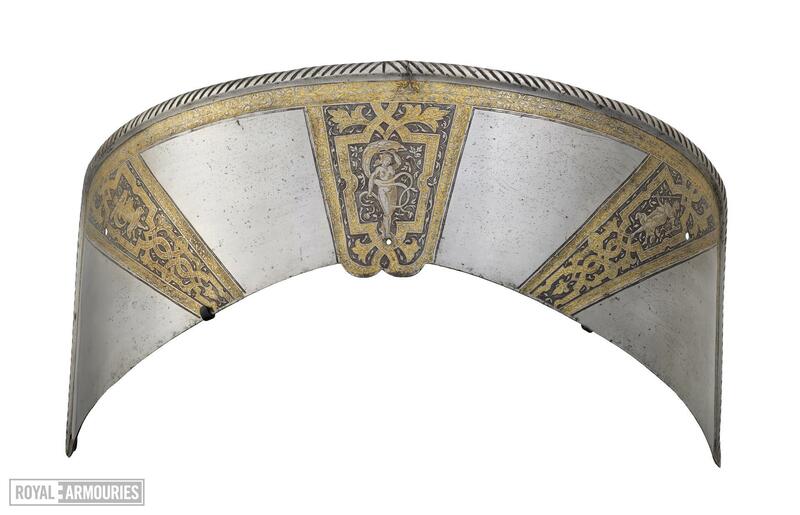 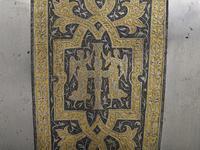 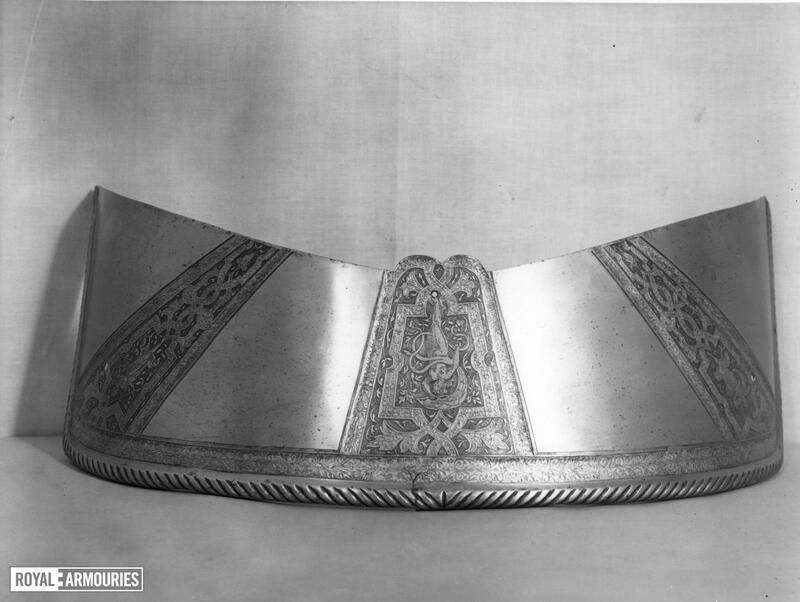 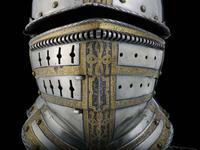 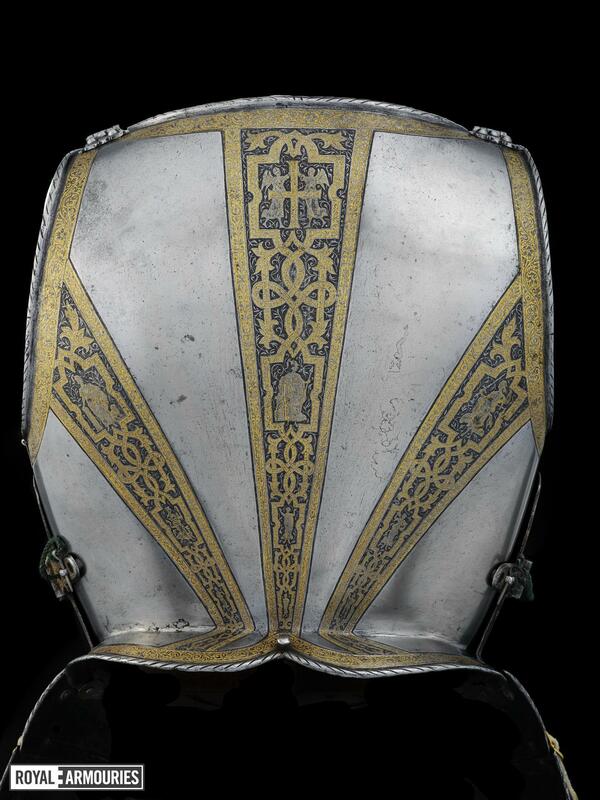 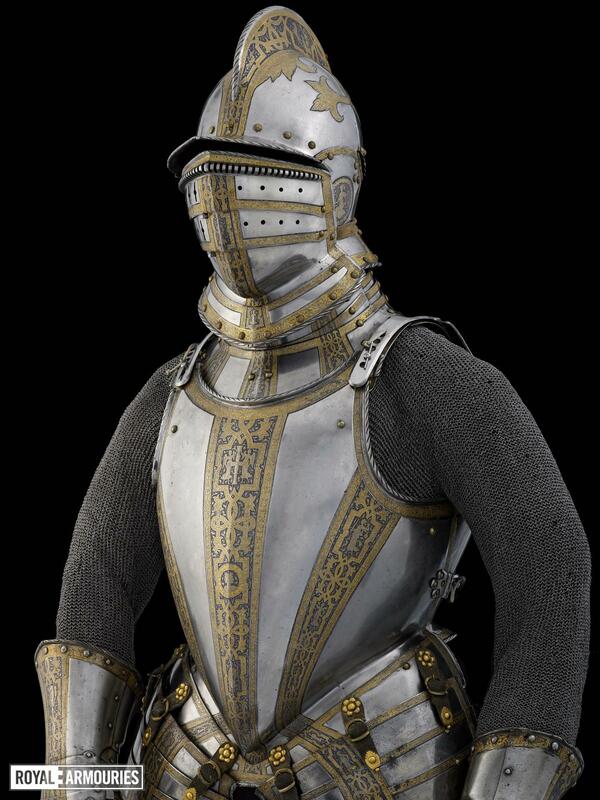 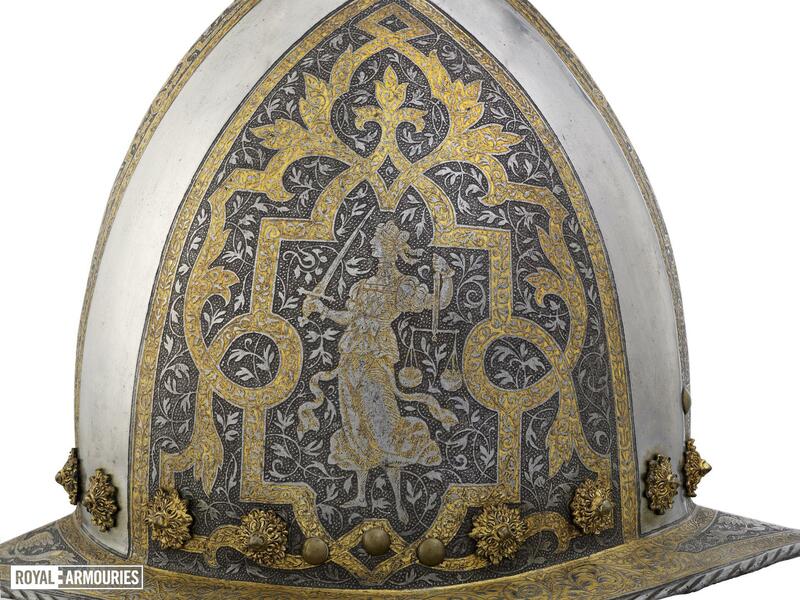 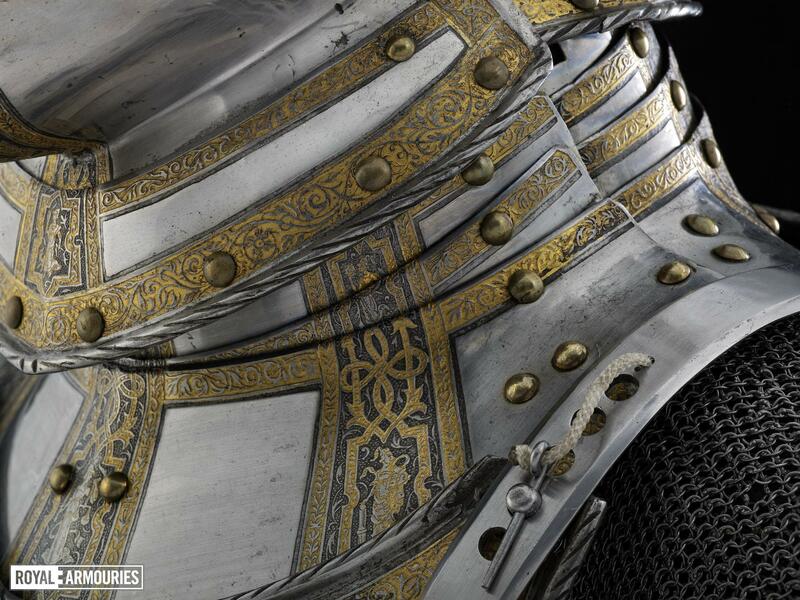 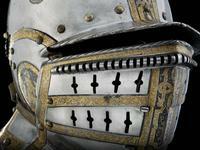 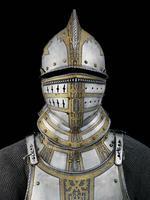 Consists of: II.84 A Burgonet; II.84 B Buffe; II.84 C Morion; II.84 D Gorget; II.84 E Breastplate; II.84 F Backplate; II.84 G Right tasset; II.84 H Left tasset; II.84 I Right cuisse; II.84 J Left cuisse; II.84 K Right gauntlet; II.84 L Left gauntlet; II.84 M Breastplate; II.84 N Backplate; II.84 O Right tasset; II.84 P Left tasset; II.84 Q Right tasset; II.84 R Left tasset Displayed with mail sleeves III.1430 and III.1431. A.R. 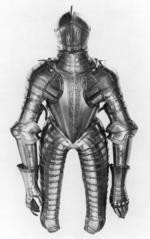 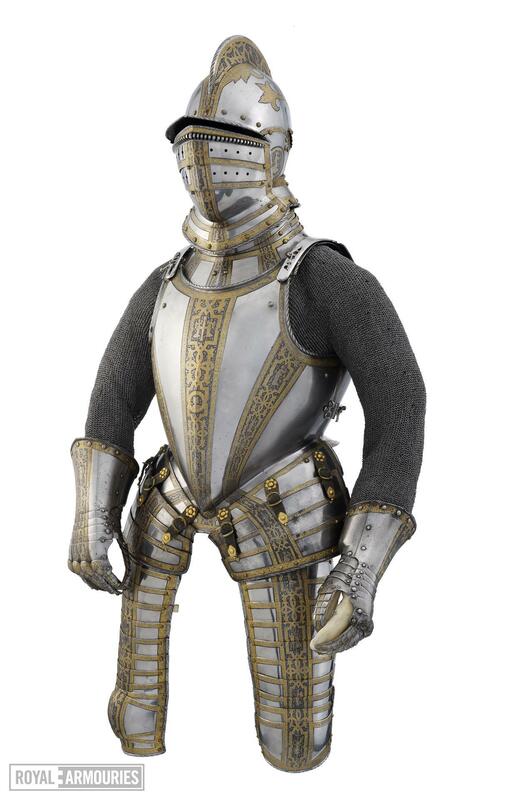 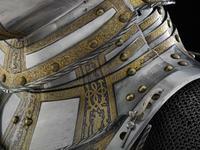 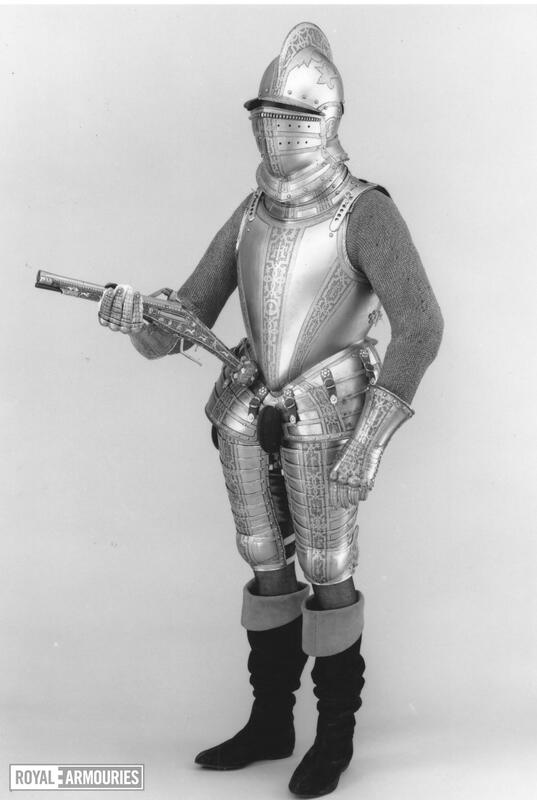 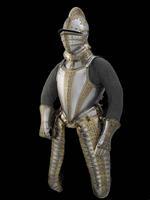 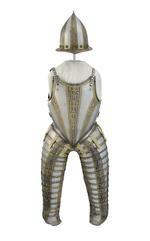 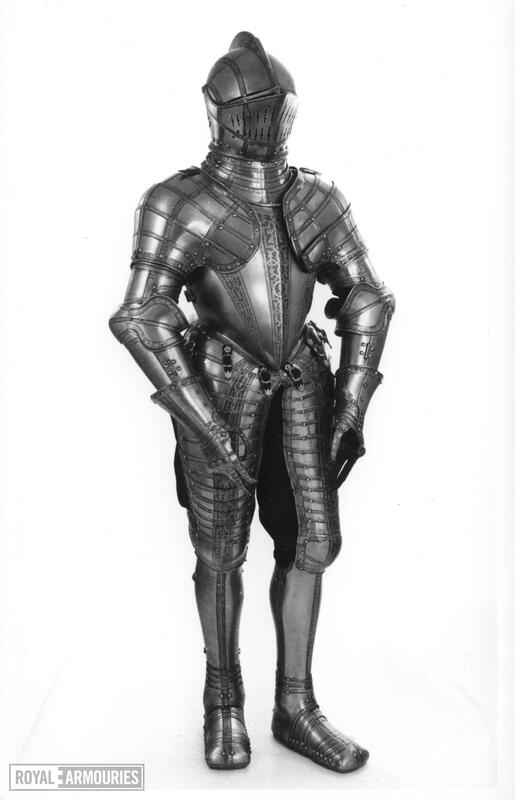 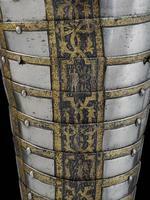 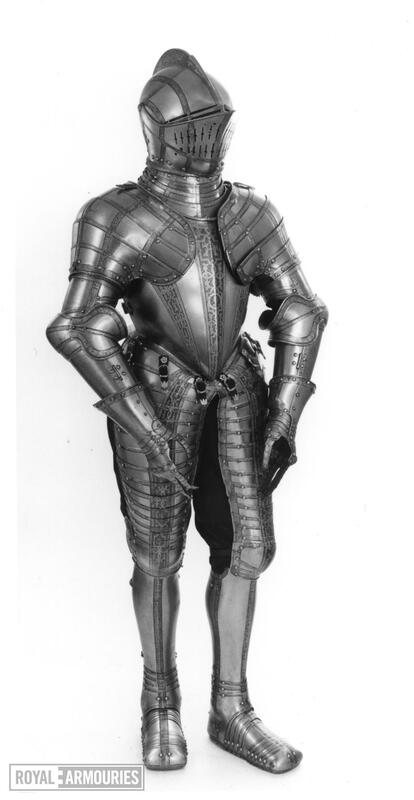 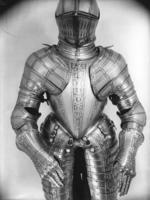 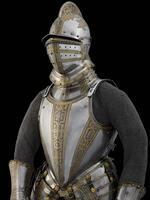 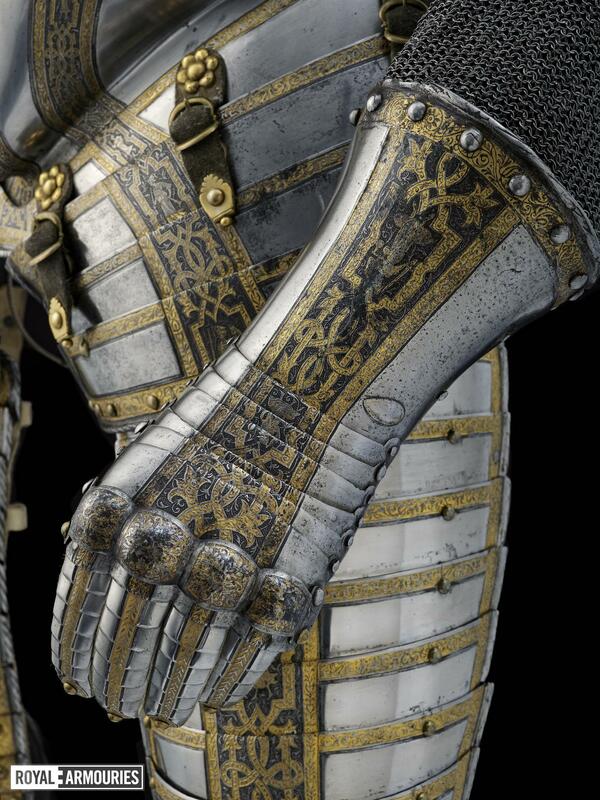 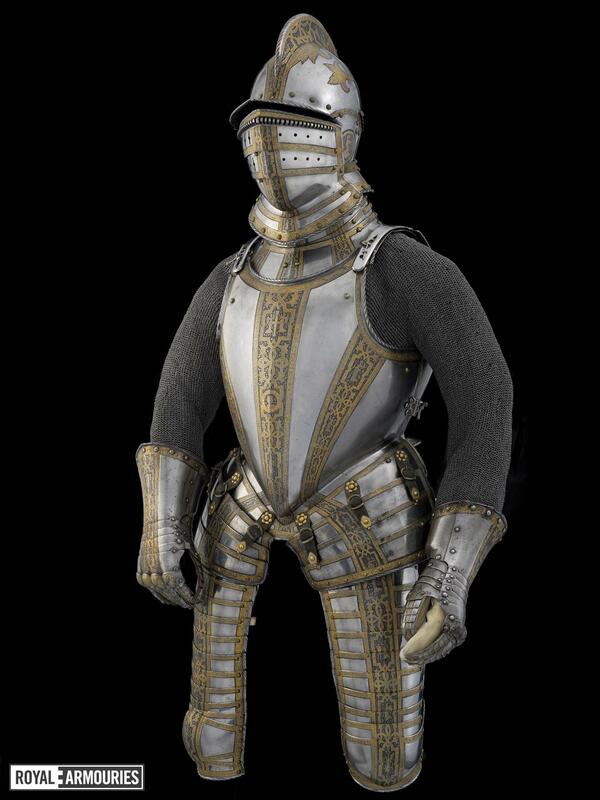 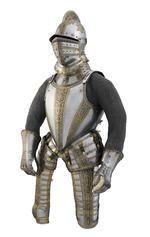 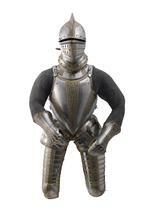 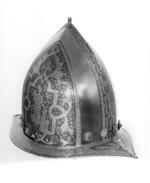 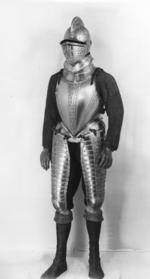 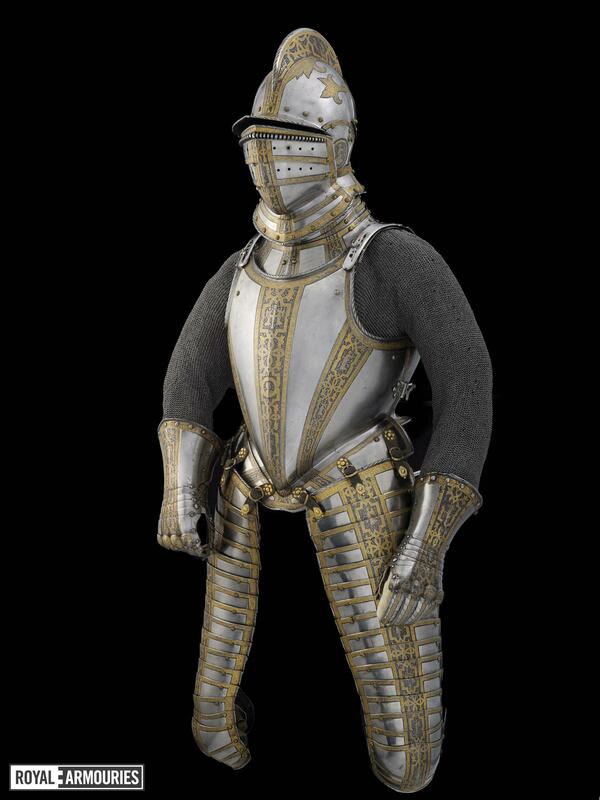 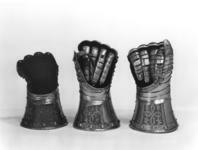 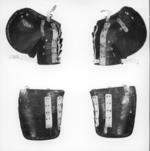 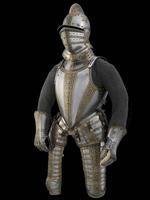 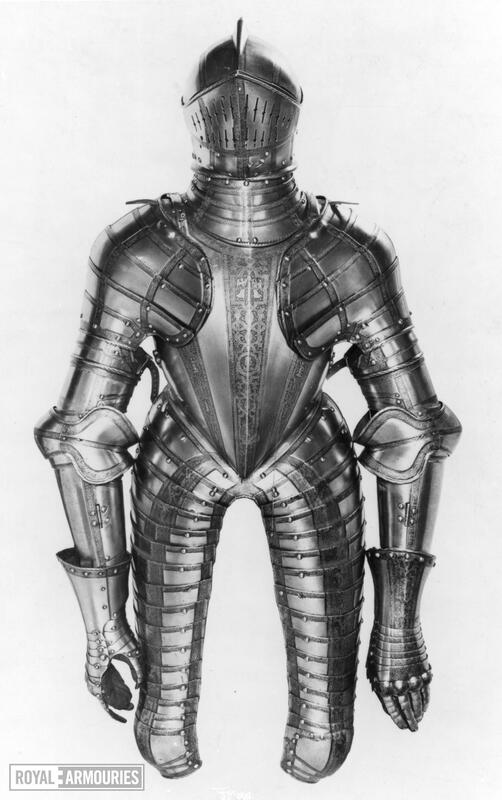 Dufty and W. Reid, European Armour in the Tower of London, 1968, plate XLIX, XLVIII additional pieces, XCVIII helmet, XCIX morion, CLV saddle steels.